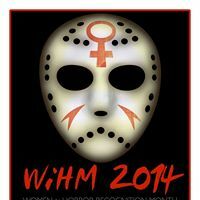 As Women in Horror Month draws to a close, I am very pleased to have the opportunity to ask one of the most successful and prolific women in the genre about her upcoming book reveal, which will be taking place live on The Dinner Party Show on Sunday, March 9 at 5pm PST/8pm EST, in addition to getting her perspective on Women in Horror Month. As Ms. Rice astutely notes, women have been a force to be reckoned with in horror from the very start. Mary Shelley is widely credited with starting the science-fiction genre and was probably the first to cross over from traditional and gothic horror into the modern horror literary genre. Released in 1818“Frankenstein” predated the works of her contemporary Edgar Allen Poe by close to a decade. Other writers who would follow in her footsteps over the next seventy years, including Bram Stoker, Oscar Wilde, and Robert Louis Stephenson. Many of the early writers of modern horror were women, as Anne points out above. Emily Bronte’s “Wuthering Heights” was a poignantly moving ghost story as well as a tale of love gone horribly awry. 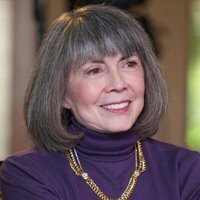 These women went on to influence other women, and so we have writers like Anne Rice, whose “Interview with a Vampire,” “Witching Hour,” and “Wolf Gift,” among others, carry on in the gothic horror tradition, regaling the reader with tales of supernatural and frequently deadly creatures. Like Shelley, Rice often tells the tale through the eyes of her monsters. Fans were exhilarated by her 2012 return to the genre with “The Wolf Gift,” and will be excited to know that she has a new novel in the works, currently under wraps. Fans on her Facebook page (which has close to 1 million followers) are anxiously awaiting the announcement regarding what exactly the new book will be about. Many are wondering if we can hope to be revisited by any old friends from her literary past in the new story, and are titillated by the mystery. All will be revealed Sunday, March 9 on The Dinner Party Show, an internet radio show hosted by her son Christopher Rice and his friend, another bestselling author, Eric Shaw Quinn. Reblogged this on La Virino Kiu Skribas.